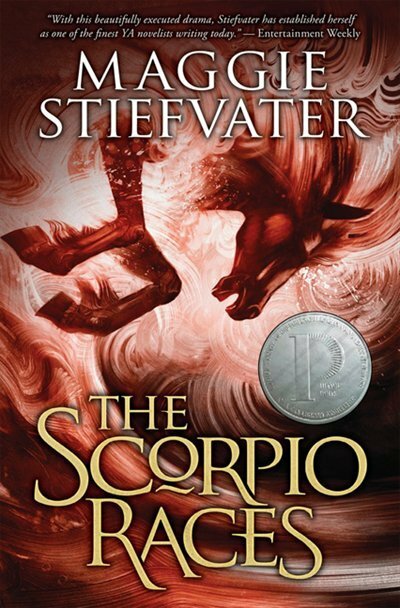 Last night I finished reading Maggie Stiefvater's The Scorpio Races. I had missed this book when it first released, and then just never gotten around to it. (And yes, several people have given me hell since finding out that I hadn't read it yet.) Most everyone would mention it and then ask me if I liked horses, to which I would conclude it was a book about horses and that didn't sound like something I wanted to read. Then someone clarified it was a book about horses that eat people, and I was like "whoa, I am all over that" because I love a monster story. The Scorpio Races does have monsters in it, but it's not specifically a monster book. It's a story of people's wants, and the different ways that we grow up and move on. (It is also a book where horses eat people, and most certainly a book for people who love horses.) It's a book about myth and magic and tradition and how we live with them. More importantly, The Scorpio Races is beautifully atmospheric, it's a world built inside a book. Reading it reminded me of how to build a world—it's the details. The way characters think and feel and the food they eat and the words they use. World isn't just a town name or a map frontispiece, it permeates every scene. It is the way the air smells and how the birds sound and the color of the mud clinging to a character's shoes. Sometimes I read a book, and the author has a talent for place... but they do nothing with the place. They create it and it's there, but it's all background. It never moves from atmosphere to solid ground beneath a reader's feet. While I love Sean Kendrick and Puck Connolly, the main character of The Scorpio Races is Thisby, with its awful weather and hungry capaill uisce. It was so real, transcending mood and tone to become the only place where this book could have happened. There was something beautifully Diana Wynne Jones-like about the story, from the subtle and perfect weaving of magic throughout to George Holly, who is basically the Chrestomanci. Seriously. He shows up and he's all "hello, I am a friendly and oddly well-dressed foreigner, so let me subtly comment on how you should fix your life then go make nice with this lady off camera." Ok, maybe he's the Doctor of the book. Either way, George Holly was an unending source of amusement. I don't know if I could've finished the book without him, because there were dark times in those pages and this was not the best week to be reading something with such a weight to it. I could talk myself into relatively certainty that Sean and Puck would be alive by the end of the story, but I was always on the edge of horror that something awful might happen to Finn. (Maybe I've read too many Cassandra Clare books.) This is information I would share with people when I told them I was reading the book. "I'm very concerned for Finn." I supposed being an older sister, I could relate to Finn and Puck's relationship more than Gabe and Puck's. But I'm glad I gave this book a chance and that I finished it, so I could feel that same sense I get after I read David Mitchell—the knowing that I've just put something of literary merit, something that I can learn from, into my head. Because now I want to take what I've learned and applied it to how I tell my own stories.